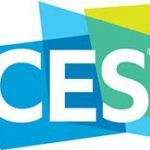 This year marks the 50th anniversary of CES which will celebrate the evolution of the consumer Electronics industry from January 5-8, 2017 in Las Vegas, NV. CES 2017 will have more than 3,800 exhibitors covering 2.4 million net square feet of space and more than 165,000 attendees. A truly global show, CES expects more than 50,000 international professionals representing 150 countries. Fusicology has been defining the Soul Diaspora since 2003, and we are expanding our offerings and spreading our wings throughout Europe in 2017. We will cover not just music events, but a provide info regarding technology gadgets which enhance your musical experiences. During CES Fusicology’s team will be on the lookout for the latest products and services, cover top music events, and send you flavor and buzz from Las Vegas. Let’s get the party started. We plan on sharing with you all of the great new products that we think will excite you. It has been rumored that one of your favorite brands will reveal its ability to utilize your TV screen to fuse music and technology during CES 2017. Samsung, the Korean electronics giant will launch three SmartTV services, which aims to personalize viewers experiences by merging Sports, Music, and TV. The new music service brings together music from eight different app partners, including Spotify, iHeartRadio, Napster, Deezer, Sirius XM, Vevo, Melon, and others. Apparently, the service will make recommendations based on viewer listening habits across all apps. Soul Electronics will be at CES showcasing a range of earphones and headphones. Focal will bring a one of a kind pair of Utopia headphones that have been designed in collaboration with French jewellers Tournaire. The headband is made up of an 18k gold plate that has three diamonds totalling 6.5 karats. Audio Technica will be revealing their Bluetooth wireless headphones which utilizes their Pure Digital Drive technology. Hottttt! Innovative solutions from startup accelerators and popular crowdfunding platforms such as Indiegogo will be present as well. One of Europe’s top German startups, Basslet will showcase their wearable subwoofer in the Hardware Club accelerator area. We will definitely check this out.